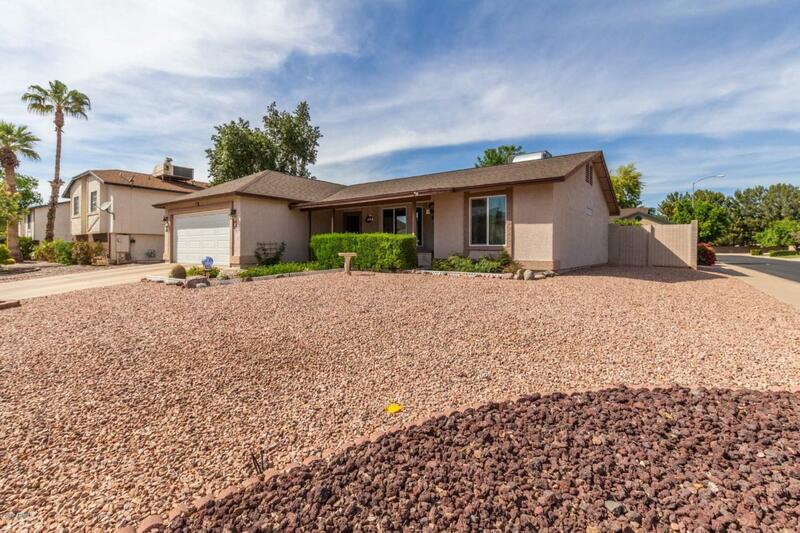 Come see this charming home on a corner lot, nestled in the quiet Greenfield Place community. 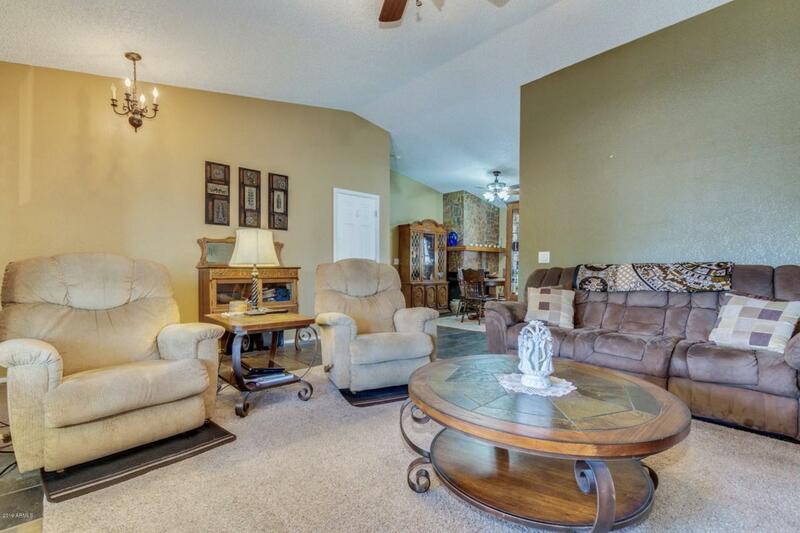 The bright & open great room welcomes you in to enjoy the vaulted ceilings & tile flooring. Check out the updated kitchen with granite countertops, custom island, black appliances, a bay window and even a fireplace by the dining area. The master bedroom has dual closets and plenty of space for your furniture. 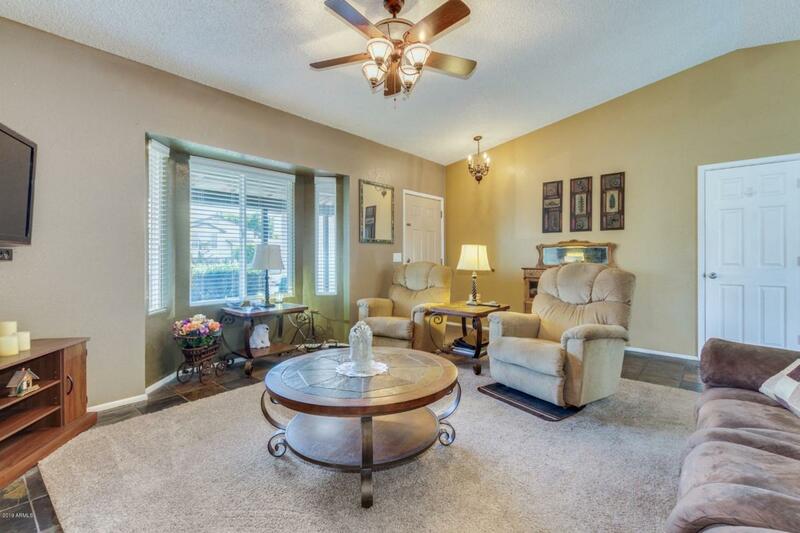 The other two bedrooms are on the opposite side of the home, providing space & quiet for everyone. Bonus Arizona room is set as a home office, and could also be a gym, craft room, or whatever you might need. 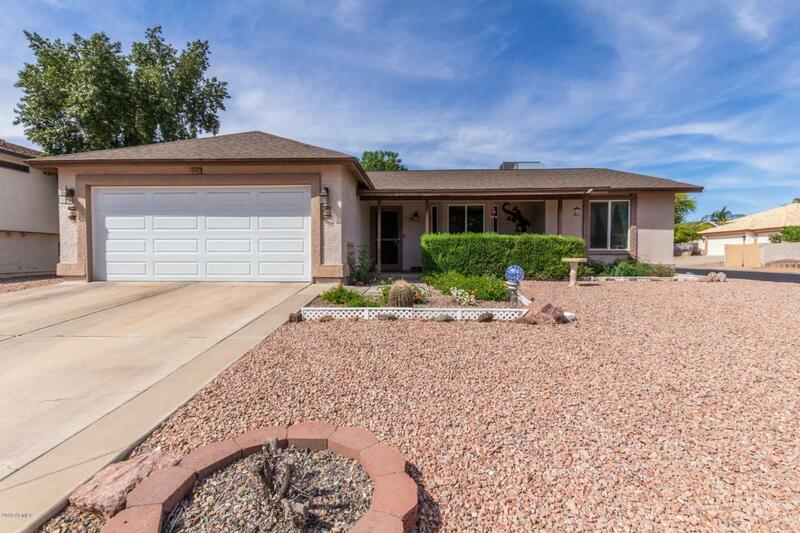 The roomy back yard offers an RV gate with a full pad, and there is no HOA, so bring all your toys! Newer roof, newer HVAC,and newer water heater mean less worries for you!